After nearly five years of uncertainty, the future of the Western New York Children’s Psychiatric Center remains permanently engraved in West Seneca, N.Y. Gov. Andrew Cuomo announced in a statement on April 4 that the beloved center will continue to operate from its current location. “The Western New York community has consistently spoken with one voice and we are listening,” Cuomo said in a statement. Parents, staff, patients and community members rallied against the Cuomo administration’s previous proposal to relocate the Children’s Psychiatric Center to a renovated space on the same grounds of the Buffalo Psychiatric Center in 2019, a move the governor hailed as cost-effective. 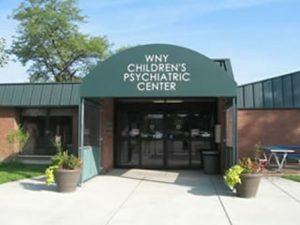 The previous plan was projected to save $3.2 million associated with efficiencies that would have been reinvested in child and family mental health services in Western New York, the statement said. Although the renovated space for the children’s center would have included four floors, a separate staircase and elevator, parents disagreed with housing children in the same building as adults. In a Change.org petition published last November, the American Health Council (AHC) garnered over 1,500 signatures from supporters after the organization called on the Cuomo administration to prevent the closure of the children’s center. To keep the children’s facility running at the West Seneca location, the Cuomo administration drafted a new plan that would provide outside clinical health services for up to 1,000 children through alternative resources, according to the statement. “We have made great progress in ensuring access to vital mental health services for all New Yorkers, and this plan will uphold our commitment to the children and families of this state,” Cuomo said. The 100,000 square-foot center, built in 1970, is nestled on 72 acres of wooded, park-like areas that parents and supporters from the group Save Our Western New York Children’s Psychiatric Center said serves as therapeutically-stimulating for children during their recovery process. The group launched a campaign to advocate for patients and staff that garnered the support of local politicians and advocacy leaders. The AHC supported the group’s campaign. “We thank our affiliates and supporters who signed our petition, and we thank the governor and his administration for permanently etching the CPC’s future at West Seneca,” Russell said.